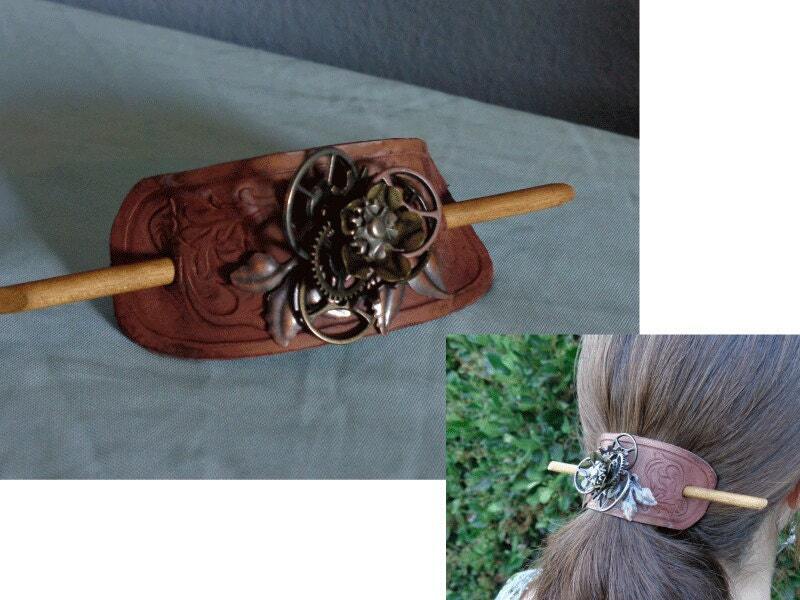 This hand tooled leather hair slide has a steampunk rose as a centerpiece constructed of metal clock gears and metal petals. The rose is set on a hand carved leather band with a Victorian floral pattern. This is a great addition to any steampunk costume and goes well with our steampunk leather cuffs and purses.